By being a TEC Awards sponsor, you can showcase your brand among industry innovators, experts and legends, as well as to the greater NAMM Show community before, during and after the show. Direct the right traffic to your booth by mixing and matching these brand-boosting sponsorship items below to create a package that fits your needs and budget. Want more options? Custom packages are available. Contact your NAMM Business Partner for more information. The TEC Awards honors the companies pushing the boundaries of innovation, as well as the creators behind the scenes and the musical powerhouses who bring them to life. Receive unparalleled exposure to a buying audience commanding billions in buying power. Your full-page ad will be included in both publications and will give you the best value for your investment with a large, featured presence. Including 23 Technical Achievement and 8 Creative Achievement nominees distributed electronically to more than 100,000 pro audio and sound professionals to help guide their voting decisions. 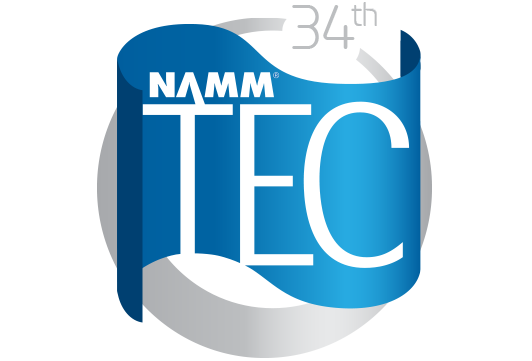 A premium-quality, magazine-sized publication that commemorates the NAMM TEC Awards ceremony. It is distributed at the NAMM Newsstand, TEC Tracks, TEC Awards Ceremony and online.